Papua New Guinea is one of the last unspoiled natural spaces in the world. The country is largely untouched by western civilization and is teeming with natural vegetation, plants, and animals. Towering volcanic peaks, beautiful beaches, pristine rainforests, mountains, and valleys. The world famous Kokoda trail, stretching for more than 60 km, is also located here. The trail snakes it way from the south (from Port Moresby) to Owens Corner in the North. Mount Wilhelm is the highest mountain in Port Moresby, standing at 14,000 ft above sea level. There are two trails leading to the top and it can take you up to 3 days to reach there. If you visit Lake, don’t forget to visit the rainforest surrounding the city. Close to the capital, Port Moresby, there is the Moitaka Wildlife Sanctuary. The park has a large collection of crocodiles. 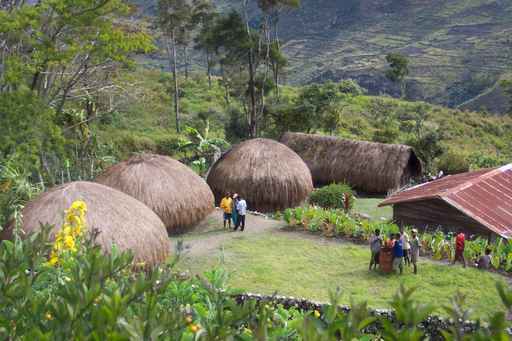 Other places to visit on Papua New Guinea are Kokopo War and Culture Museum. Located in Kokopo, this museum contains a large collection of World War 2 memorabilia such as weapons, artillery, and even tanks. Don’t forget to visit Bougainvillea island which is off the eastern coast of Papua New Guinea. Mount Balbi is located on this island. Mount Balbi is actually a volcano. There is a caldera here and it holds a stunning crater lake. Do engage a guide to visit the mountain.